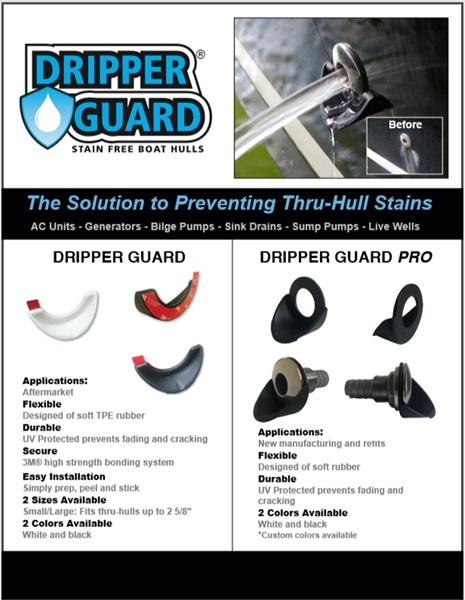 Dripper Guard prevents boat hull stains caused by boat thru-hull drains. 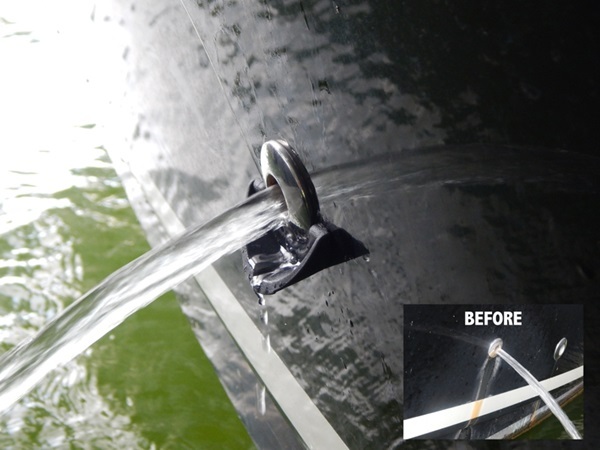 It’s perfect for any component on your boat that has a thru-hull! 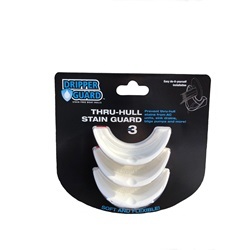 Dripper Guard installs in minutes providing a stain free hull! Featuring a high quality 3M weather resistant adhesive that provides a firm and durable bond. 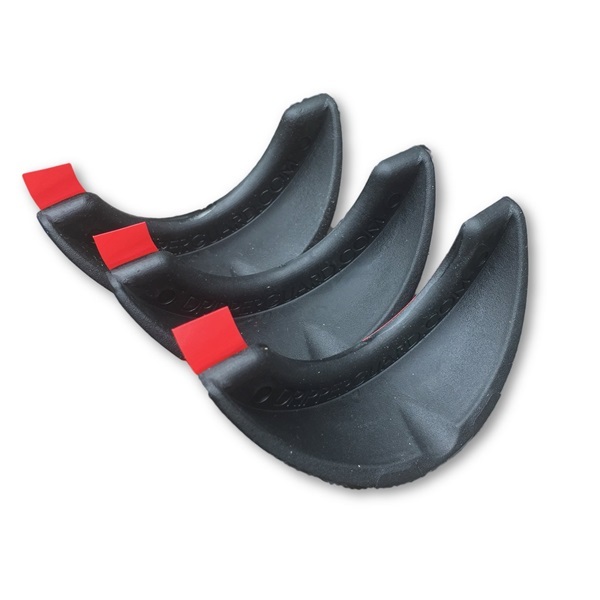 Simply prep- peel- stick. 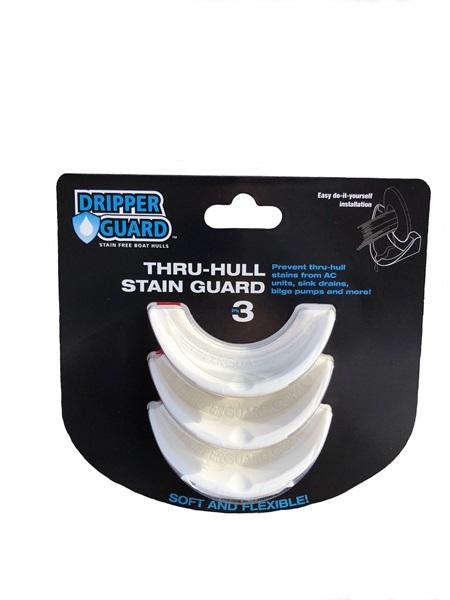 Spend less time and money cleaning and enjoy more time on the water with Dripper Guard! CLEAN AND DRY AREA surrounding and inside thru-hull removing stains and sediment build up. The surface MUST be completely dry and above 60° before installing product.